For a very long time, food and farming used to rely on the 20th century technology. However, things are now changing with the adoption of new and sophisticated technologies like geo-positioning systems, sensors and robotics being used by farmers to better manage their farmlands and animals. Besides harvesting various crops, watering the crops, fertilization etc. robotics are also used to help in dairy related chores like milking cows, automated feeding and managing the herds. The dairy farms globally have observed a significant growth over the past few years. It is estimated that the global milk production has increased by 61% in the last few years and it is forecasted to reach 177 million metric tons by 2025. Along with the industry growth, the Automated feeding systems is also set to grow at a CAGR of 7.6% between 2018-23. Automated feeding systems saves time and cost by carrying out a variety of tasks, which includes storing different feed components individually, to mixing the feed in accurate quantities and even distributing it onto the feeding table at the right time. The growing size of dairy farms worldwide and the significant cost savings associated with the implementation of feeding systems are the major factors for the growth of global automated feeding systems market. In fact, frequent feeding has a proven positive effect on the cattle health and the milk produced. Automatic feeding systems help with the daily feeding, ensuring efficiency, saving time and improving animal health, as well. According to the report by Bharatbook on The Automated Feeding Systems Market, this space is driven by the increasing preference of farm owners to automate processes for reducing operating costs and losses associated with manual feeding techniques. However, the major challenge faced by stakeholders is the lack of standardization of feeding equipment and feeding lines. In addition, high capital requirement at the initial stage of installation may discourage small and medium-sized farms from automating the feeding process. On the basis of type, the automated feeding systems market is segmented into rail-guided, conveyor, and self-propelled feeding systems. The rail guided feeding systems segment is estimated to account for the largest share in 2018. These systems have gained popularity among farms, due to their durability and low maintenance cost. Currently, rail-guided feed wagons are witnessing a significant demand in the market, as it is possible to save time and achieve greater flexibility by using these systems, compared to conventional feed mixer wagons. 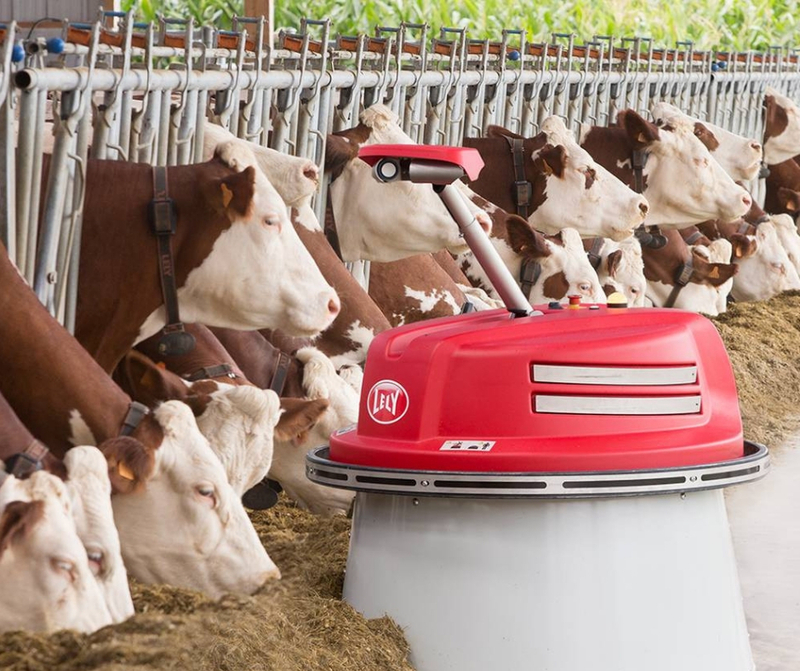 Based on livestock, the ruminants segment is projected to record the fastest growth in the automated feeding systems market between 2018 and 2023. Ruminants are a source of milk and meat, and the quality of these products depends on the quality of the feed as well as the efficiency and preciseness of the feeding process. Thus, advanced technological animal feeding systems help in the reduction of microbial-related diseases in ruminants, improves the feed efficiency, and animal growth. These factors are projected to significantly drive the automated feeding systems market during the forecast period. The automated feeding systems market in the Asia Pacific is projected to witness the fastest growth during the forecast period. The increasing modernization of animal production techniques in the Asia Pacific region is also providing opportunities for the automated feeding industry, which has further impacted the rise in the need for commercial feed among farmers in the region. Thus, these are the major factors driving the automated feeding systems market in the Asia Pacific region. With machines starting to take a lead everywhere, the main reason to adopt automated feeding systems is to reduce the workload on the farms. The natural feeding cycles of the animals helps the cattle owners in managing time and other human resources at the farm. Rather than feeding the animals manually, the resources can be allocated to monitor, observe and look after the cattle.In this way, the farm owner is able to put more time into looking after the animals, herd management and spend time with their own family. To get a comprehensive overview of the automated feeding systems market, gain insights with our latest report on Automated Feeding Systems Market.